Australians are bonafide coffee snobs – that’s for sure. Right from the 1950s and with the arrival of Greek, Lebanese and Italian immigrants, the unique coffee culture that we see today began its journey. 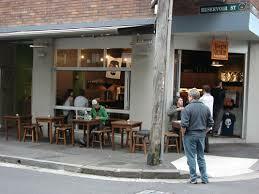 This is probably the most crowded coffee shop that is located in Newtown. Sometimes you’ll just have to fight for a seat but it truly worth the effort given the coffee that they have on offer. Of course, it’s clear that they are very efficient too since they serve almost 200 cups of coffee per hour. Located in the heart of the city, this small shopfront is at the foot of the Galeries Victoria shopping center. Coffee lovers line all day long to get their shot of caffeine here. Given its location, it is also ideal for those visiting the Queen Victoria building across the street too. This shopfront is located at the Manly Beach Wharf. So, it’s a good spot for beachgoers to get their shot of caffeine before spending the day at the beach. While the coffee is great, there’s isn’t much food on the menu apart from waffles. Also, you won’t get decaf too. The baristas at this shop take their coffee very very seriously. In fact, proof of this is that they prepare the beans on a Probat Coffee Roaster. Also, the staff tend to throw out freshly brewed beans so that customers can actually make comparisons.